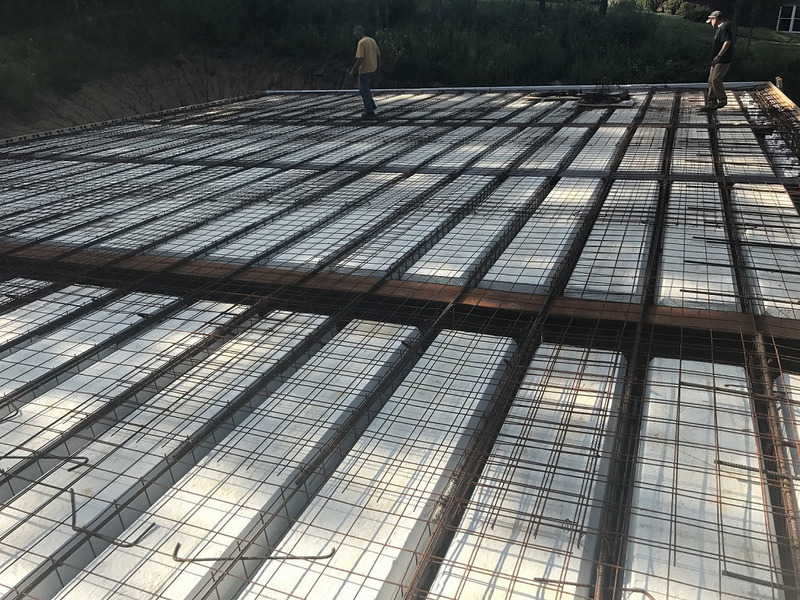 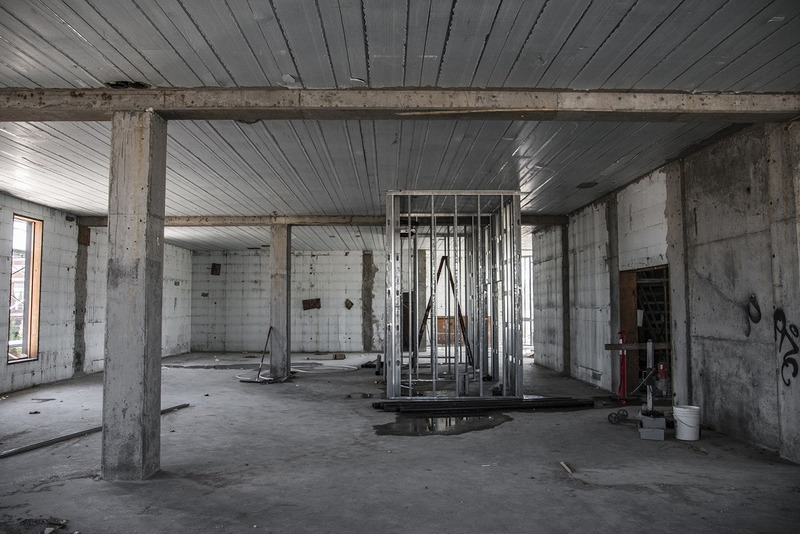 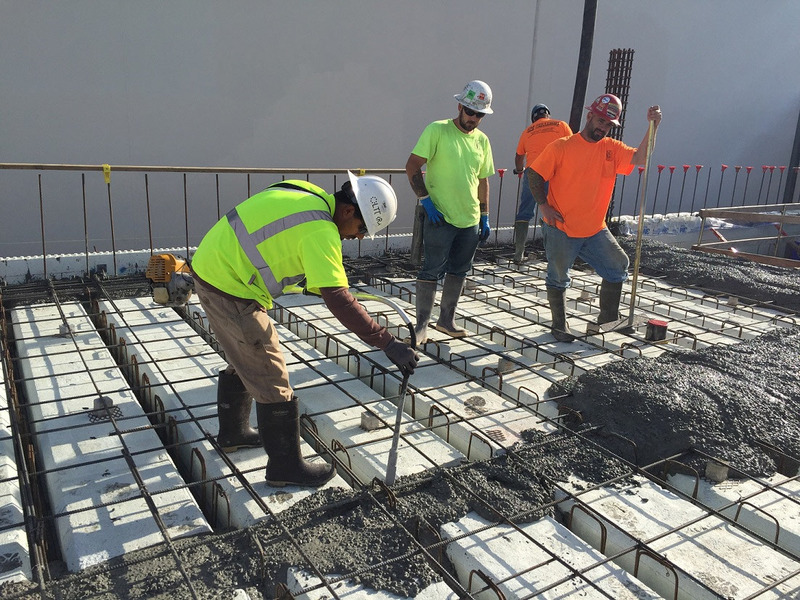 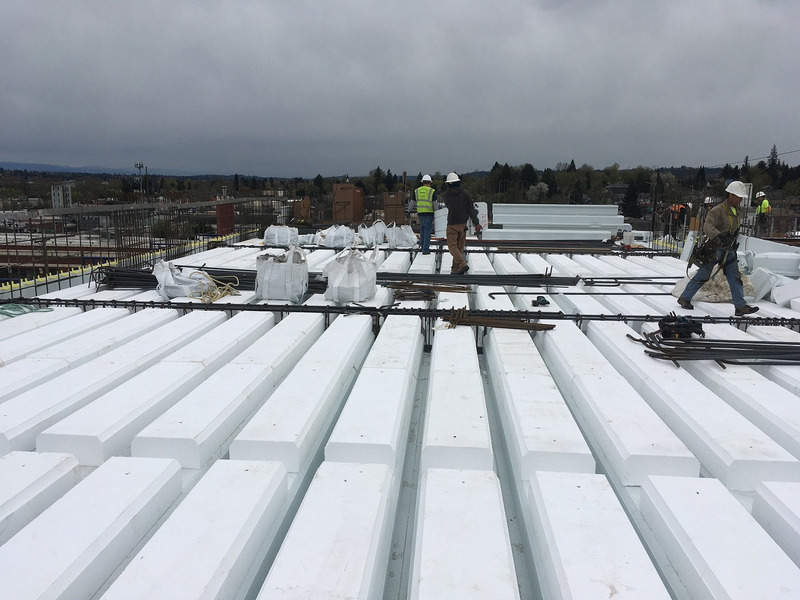 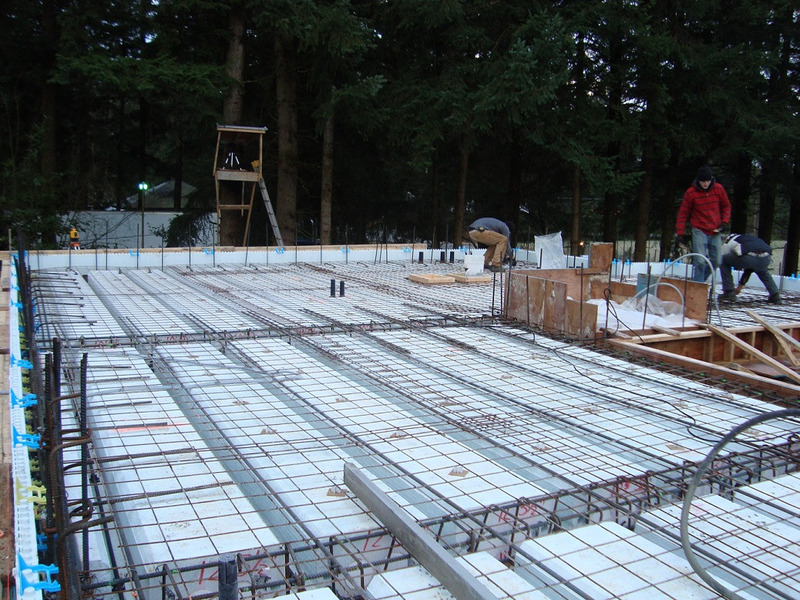 Quad-Deck System is a light weight, stay-in-place, concrete formwork system designed to build insulated, reinforced concrete T-beam slab floors and roofs, typically cast-in-place, but also as tilt-up or pre-cast panels. 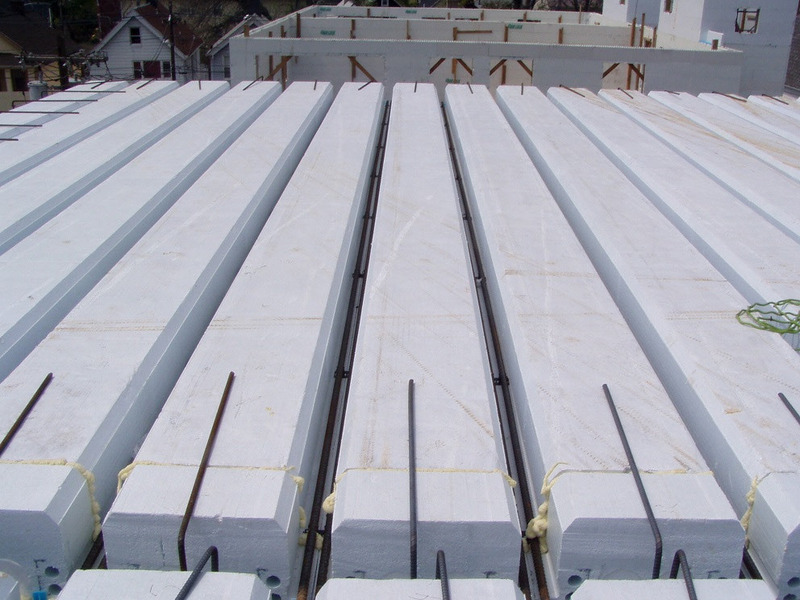 Manufacturer: Quad-Lock Building Systems Ltd.
1.1.3 Insulated Concrete Form (ICF) system used for foundation walls. 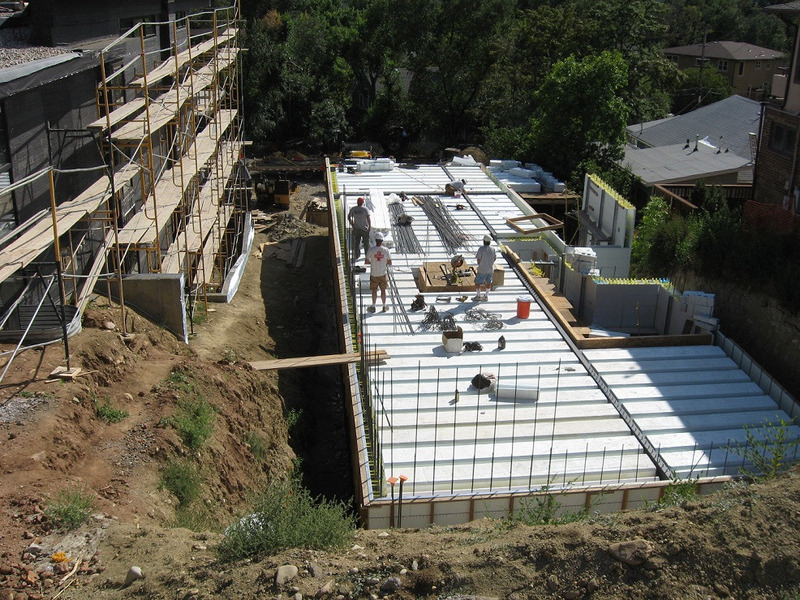 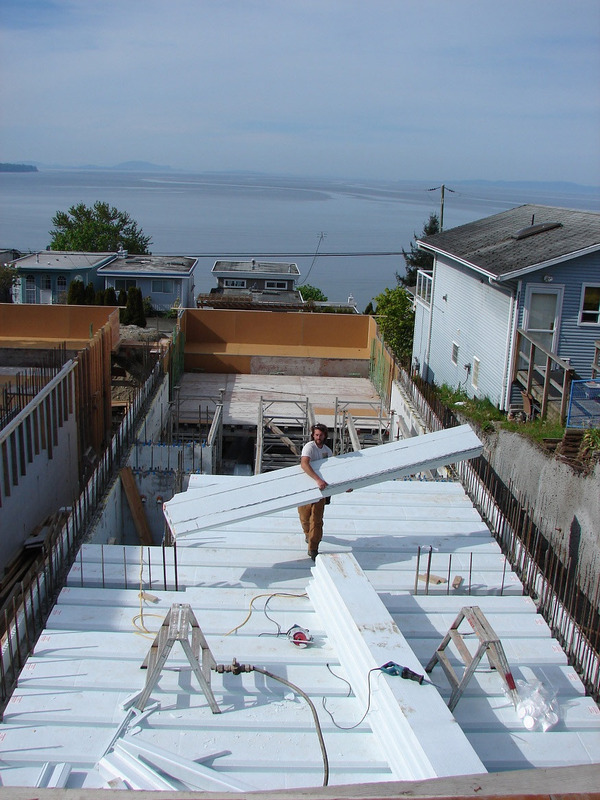 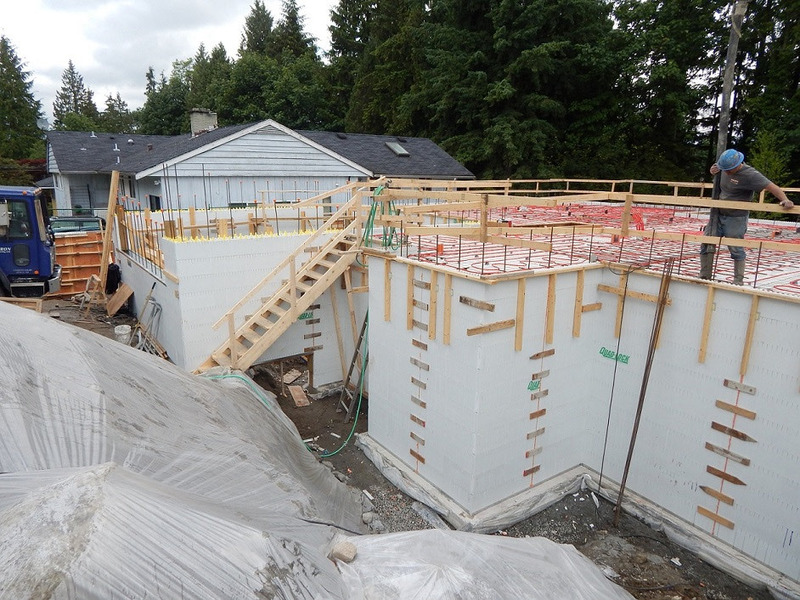 1.1.4 Insulated Concrete Form (ICF) system used for 75% of above-grade house walls.